People just don’t believe me when I tell them it is often cheaper for me to go back to my home country of Ireland, from London, by train and ferry. But the last time we travelled to Dublin as a family was at Christmas it cost us £258 (for two adults and two kids) including return tickets from our home in London to Euston station. We usually take the same journey every time, catching the Virgin Trains service leaving London Euston at 9.10am as it is direct to Holyhead, allowing you to relax the whole way and enjoy the coastline of North Wales at the same time. We have about an hour’s wait in Holyhead, catch an early afternoon ferry and are in Dublin Port in the city of centre by 5.30pm, and home to Granny for tea. Any airline equivalent at this Christmas rip off period was minimum £600 not including transport to and from the airport. SailRail offers consistent prices, and I always book it through Raileasy, although most ferry companies offer the same package. Sailrail makes train and ferry travel affordable, with similar packages to Holland now, and hopefully other destinations will start offering this as an option soon. Still waiting for news on the London to Northern Ireland Sailrail (via Liverpool) to open up, hopefully by the end of this year. A couple of my other favourites include Bargain Berths on the Caledonian Sleeper from London to the Scottish Highlands. Blogger Simon Varwell is the font of information on how to bag one of these elusive tickets – definitely worth a read. The other is the underrated Train des Pignes which goes from Nice into the Alpes, terminating at Dignes les Bains. A tiny metre gauge train which rattles its way through mountain villages, this is a tourist route, but we took it up to Entrevaux to start a hiking holiday across the Mercantour, with a donkey to carry our bags from auberge to auberge. 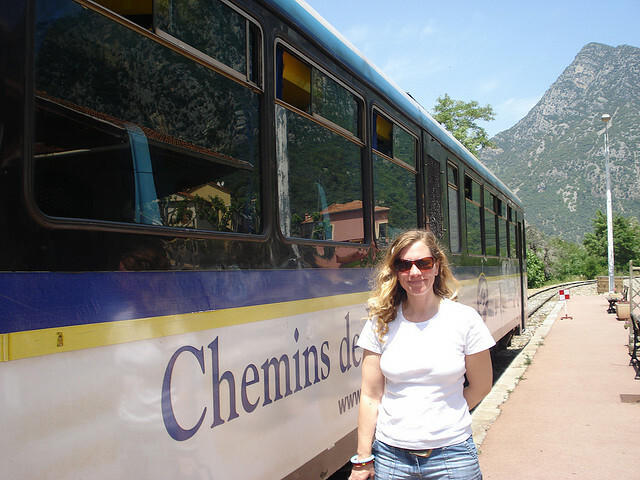 Catch it at the Chemins de Fer de Provence station iin Nice, €18 adults, €9 children, one way. I have asked a few of my favourite train brains to give their top tips on getting bargains when choosing to travel abroad by train, as listed below. Some of them suggest the same things, but all have great points, so many thanks to all of them for taking the time to contribute and spread the train. parties. Germany’s www.bahn.de usually has great deals and if you can book up a few months in advance, you can get tickets for €49 from the UK or €39 within Europe. Their system covers journeys across most of Europe and the site is easy to navigate. For some reason you have to put in passenger ages or it won’t let you proceed and view prices, but this little quirk aside, it works pretty well. Sleepers services vary in comfort and price but offer you a good way to save both time, by speeding you through the night to the heart of your destination, and money on lacklustre hotels. There are some good deals to be had. For example, the recently launched, and rather swish looking Thello night train can whisk you from Paris to Milan, Verona or Venice from as little as €35 in a shared couchette. If you’re considering using night trains while InterRailing you’ll need to buy sleeper supplements. In most countries east of Germany these can often be found for €20 or less. If you want to get to Scandinavia, a part of Europe not usually associated with budget travel, the Berlin Express is one night train worth looking at. This runs from April to November, zipping you cross the Øresundsbron Bridge from Berlin to Malmo, a short hop to Stockholm. Sleeper supplements start at €19. RailDude is a handy site which lists practically all of the sleeper supplement prices. Of course it’s always worth doing the maths before you book your InterRail pass, especially if you’re heading east. Add up the costs of the single journeys you’re planning to take, as sometimes it can work out cheaper than the pass, though there’s a lot to be said for the flexibility the pass gives you of course. Split ticketing would be my top tip. For example, always book London to Paris/Brussels/Lille then separately book the onward portion of the trip, from Paris/Brussels/Lille to the final destination. 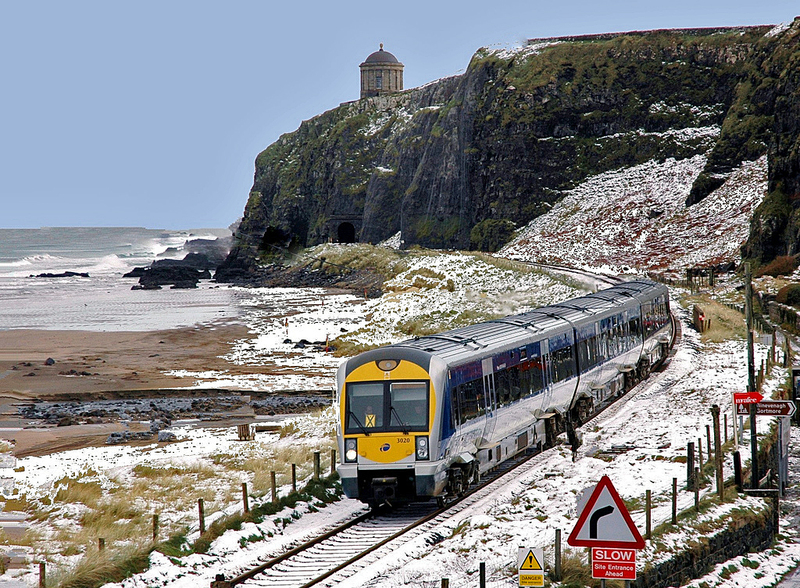 The further in advance you can book international rail travel, the better bargains you can get. Eurostar services can be booked 120 days in advance, and most other European services 90 days in advance. Most operators work on a yield managed system and so the cheapest fares are available the earlier you book. If you leave making your booking until a week or two before departure you’ll find you’ll pay much more for your tickets than if you book as soon as the tickets go on sale. If you’re planning lots of rail journeys during one trip, it’s worth looking into rail passes. InterRail passes come in Global or single country versions and can offer great value, particularly if you’re booking close to the date of travel when point to point tickets will be more expensive. It’s always a good idea to check the cost of point to point versus pass plus seat reservation costs before booking. Seat reservations also work on a sliding scale, so again, the earlier you book these the lower cost they will be. 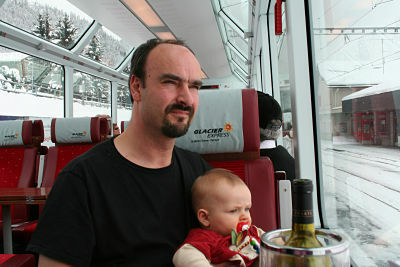 Children under 4 travel free on most European trains and, in some cases, children under 6 travel for free. This tends to be in northern European countries such as Belgium, Germany and Denmark (scroll down to table below for more details of this and general discounts for kids). 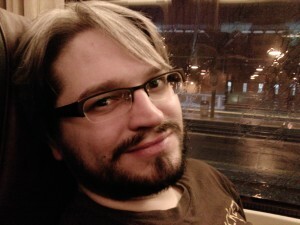 Follow Mark on Twitter and Facebook. The Dutch Flyer, London (or any station on Greater Anglia) to Amsterdam (or any Dutch station) from £39 plus cabin cost (single cabin £30, double cabin £43 per cabin). Can save expensive accommodation costs in London or Amsterdam too! DB’s (Deutsche Bahn) ‘London Spezials’ cost from €49 from London to anywhere in Germany. Limited availability, but I have certainly returned from Berlin to London for €49 myself! Book at www.bahn.de, which will also book sleeper trains from Paris to Berlin, Hamburg or Munich, or from Amsterdam to Copenhagen, Prague, Warsaw or Zurich, from €59 with couchette, €99 with a bed in a 2-bed sleeper, or journeys such as Berlin-Prague from €29, Amsterdam to Berlin from €29. At the French Railways English language website www.tgv-europe.com, Paris-Geneva/Basel/Zurich starts at €25; Paris to Turin or Milan start at €25; Paris to Barcelona from € 72 with sleeper; Paris to Amsterdam from €35. The trick is really to book direct with the operator, using the right website for that route. The rule of thumb is to start with the train operator for the country in which an international train starts, e.g. tgv-europe.com for France, trenitalia.com for Italy, bahn.de for Germany, oebb.at for Austria, and so on. Although the first exceptions have appeared: The Paris-Venice ‘Thello’ train needs to be booked at www.thello.com or www.trenitalia.com in either direction, and the Paris-Milan TGVs need to be booked at www.tgv-europe.com in either direction. Any Dutch station – You can travel from London through to any station in Holland for the same price, this is detailed more here. The good thing is you can stop en route in Brussels for a day and not pay any more. London Spezial- Deutsche Bahn’s London Spezial fare lets you travel from London to any German station from €49 one way. Trenitalia mini-fares – the Italian rail network is now using a system more like the UK where if you book in advance you can profit from very cheap fares, what they call MiniFares. True they are non-exchangeable and refundable and only standard class but are unbeaten on price. Renfe Turistas fares – Renfe, in Spain, has a 2nd class of tickets called Turista which offer 40-60% discounts on journeys. It’s hard to give an estimate on price because the network is pretty big, but this is worth researching though! This entry was posted in Articles and tagged budget train travel, sailrail, sleeper trains, train, trains to Europe. Bookmark the permalink. 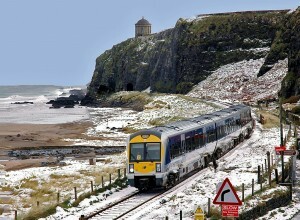 I get the train from Derry to Belfast a few times each month and find it a very economical mode of transport. I wonder what environmental impact trains have compared to other types of transport such as cars and buses? Also, would building a new rail line be less damaging to the environment and more cost effective than building a two lane carriageway of equal distance? The reason I ask is because there are plans to build such a carriageway from Derry to ToomeBridge, which will bypass Dungiven and destroy a fast amount of scenic countryside. A railway, I would have thought would have been a better choice by the planning departments concerned? Hi James – many thanks for getting in touch. Definitely go for train over carriageway any day.